Deborah has been with Stringwise since the early 90s, and has been a director since 1995. Having studied with Sheila Nelson as a teenager, Deborah worked with her on the Tower Hamlets project in the 1980s. 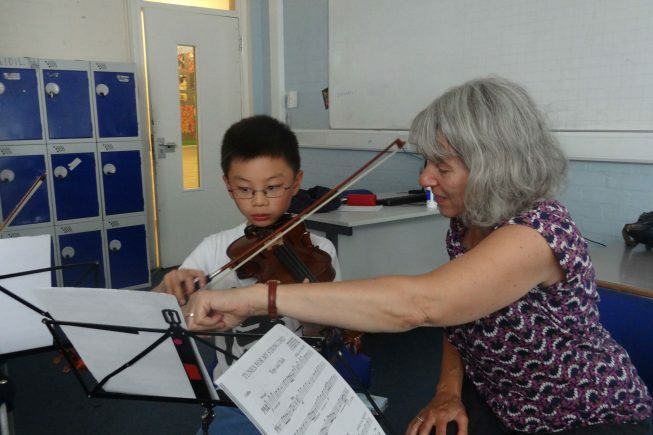 She now combines Whole Class violin teaching for the borough of Haringey with a busy teaching practice. She has given workshops for string teachers in Spain, Italy and Norway, as well as many in Britain, both for local authorities and the European String Teachers Association.